Tritino is a personal, easy-to-use and affordable shredder that, thanks to Felfil Evo, allows to recycle plastic waste and turn it into brand-new filaments ready to be 3D printed. Thanks to Tritino, the project aims to reduce the volume of domestic waste, ease the recycling process and make 3D printing economically and environmentally sustainable. 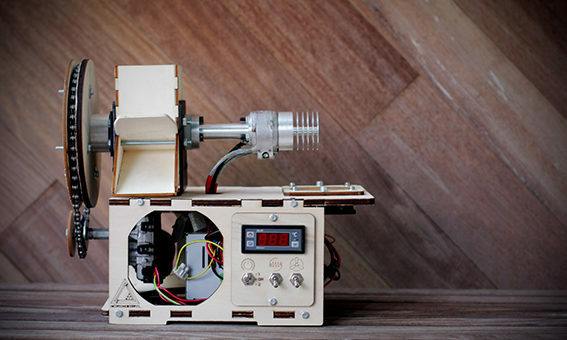 Felfil is a young start-up that aims to make 3D printing cheaper and eco-friendly. 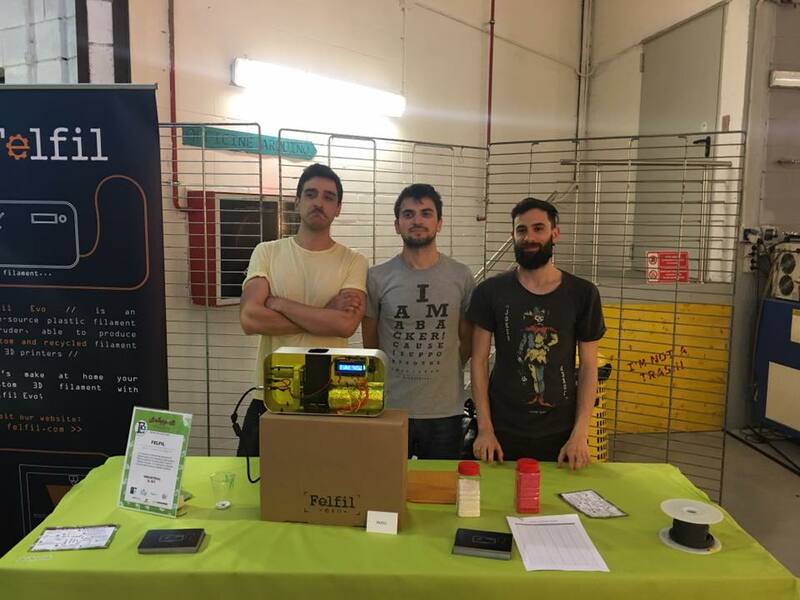 With the help from Fablab Torino and the local community of makers, the co-founders turned their master degree dissertation in Eco-design into a real, commercial product, which today is sold globally: a 3D printer plastic extruder machine allowing anyone to make custom 3D printing filaments at home. Active since 1979, Vibel Group works in the field of metal sheet processing, being it iron, alloy, corten steel, copper or brass. The company aims to combine traditional art-of-doing with new, cutting-edge technologies. In 2005 the company was awarded the “Piemonte Eccellenza Artigiana” prize. How did you become partners? The partnership was established 3 years ago, during the prototyping of the first Felfil Evo, an open source and easy to use filament extruder. Since then, we worked together to achieve the best quality results for our product. We are makers with 4 years of experience in the 3D printing market, while Vibel group has more than 40 years of experience in metal manufacturing. Now the team aims to develop a shredder giving anyone the possibility to recycle their own waste, as well as making the 3D printing process more sustainable. Makers + Manufacturers: strengths and challenges? The challenge is to find someone who is curious enough to understand your idea and ready to venture with you to turn that idea into a real product. The strength is to be finally able to bring your own project to the next level, both in terms of quality and quantity. 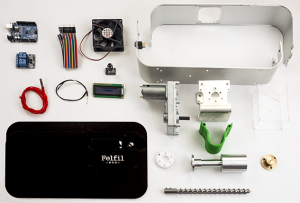 The shredder will be the perfect addition to our first product Felfil Evo (a filament extruder able to create the filament for 3D printing starting from plastic waste) in order to make the 3D printing process more sustainable. Felfil Evo was released with a Creative Commons license, and we think that this is the best way to develop a 3D printing project, exchanging knowledge with the local community of users and makers. What's the main challenge that stands on your way? Every day, a lot of plastic waste is thrown away. With Tritino, everything could be transformed into a new- brand brand filament. Our long-term aim is to be able to convert 80% of plastic waste, deriving from school or private households, into a resource for the 3D printing. 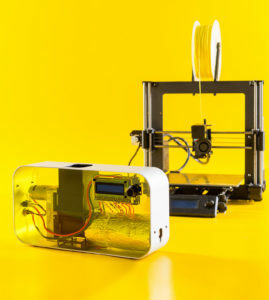 Domestic shredders already exist, our aim is to create a cheap and easy-to-use appliance for the 3D printing purposes. We’ll be able to measure the impact of our technology thanks to the direct feedback provided by our community of clients. Obviously, the first benefit for the community is to reduce the environmental impact by creating less plastic waste and cheaper spools for makers that use 3D printers. The money … No, just kidding! Developing a new product is always a great and unpredictable adventure. For us, the real value of OpenMaker is to be able to get in touch and share ideas with people from all over Europe, to broaden our horizons and to validate the project at a higher level. Basically, our project can finally expand.